What Is the Difference Between Magnesium Supplements? Magnesium is essential for energy metabolism, nerve function and bone health. Supplements differ in the amount of magnesium they contain and in the way they are absorbed and used by the body, a fact that makes finding the right magnesium supplement a challenge. Because excessive amounts of any nutrient can be harmful, always consult a physician before taking more than the recommended daily allowance. In addition to magnesium, supplements also contain other substances to keep this mineral stable and aid in its absorption. To determine the best product to take, you need to know how much elemental magnesium each pill contains and how bioavailable it is. Magnesium oxide supplements contain the most elemental magnesium, followed by magnesium carbonate, magnesium hydroxide, magnesium citrate, magnesium lactate, magnesium chloride and magnesium sulfate. Bioavailability, defined as the percentage of a substance that is actually absorbed by the intestine, is at least as important as the amount of elemental magnesium. A study published in the February 1990 issue of the "Journal of the American College of Nutrition" gave test subjects either magnesium oxide or magnesium citrate and measured the urinary levels of these compounds. Levels were higher in those receiving magnesium citrate, a result that implies more of this substance was absorbed by the intestines. 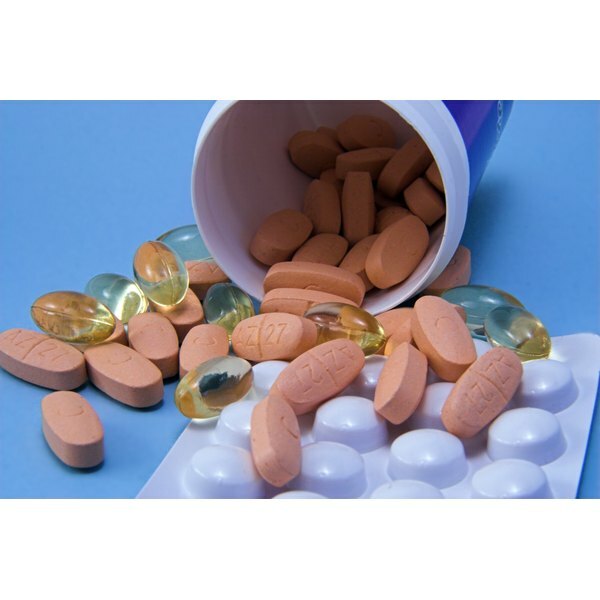 Bioavailability is not the only measure of a supplement's effects. Certain seaweed extracts containing both calcium and magnesium may have a more beneficial effect on bone health than a combination of magnesium oxide and calcium carbonate. According to a study published in the May 17, 2011 issue of "Biological Trace Element Research," absorption rates of rats receiving the seaweed supplement and those receiving inorganic minerals did not differ, yet only the animals receiving the seaweed-based minerals showed greater bone mineral density and bone strength. Prebiotics, which are also called fermentable fiber, provide a food source for the healthy bacteria that are essential for the proper colon function. If you want to improve magnesium absorption, you may want to add prebiotics to your diet. According to June 2011 article published in the "Journal of Agriculture and Food Chemistry," Sprague-Dawley rats given prebiotics known as galactooligosaccharides showed enhanced absorption and greater retention of both calcium and magnesium. Their bones were also more fracture-resistant.